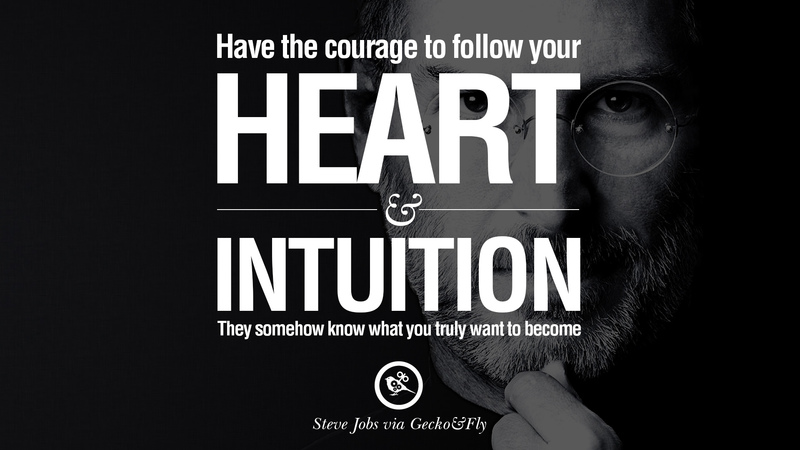 One of the greatest quotes of Steve Jobs says: “Have the courage to follow your heart and intuition. They somehow already know what you truly want to become. 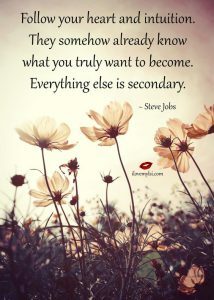 Everything else is secondary”. These are inspiring words for all of us, no matter who we are. 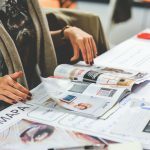 Nowadays we are living in a world that is looking to have more – success, money, cars. But recently there are more and more authors that encourage us to listen to our heart. And not just to listen, but also to follow our heart. But how can we follow our heart? Well, this quote of Steve Jobs speaks about our heart as something behind the physical body. Steve speaks about the heart as a strong force that is inside us and can lead us to reach our dreams. According to Steve Jobs, this force could be named as intuition. We are sure that all of us have experienced moments when we felt that we have to do something, even if that action was against our mental logic. This is intuition! Following your intuition needs courage because sometimes intuition is on the other side of the barricade towards the mind. Going further with the quote of Steve, we may see that the author speak about intuition and heart as leaders of our lives. 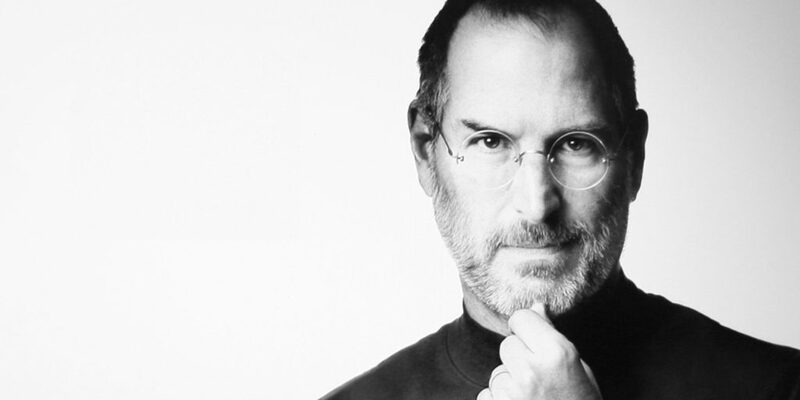 Steve was a businessman and in business he had to use his mind in order to have success. But he was also aware that human life is not a business and if we permit to our minds to control our whole life, then we will have a life without happiness. Why? One answer is that everyone has to reach his potential during his or her life. But in a world that is focused on money, we are encouraged to work in order to earn more, instead of work in the domain that we like. Steve encourages us to follow our intuition and heart because these two forces know which our potential is. If you follow the last part of Steve’s quote, we may understand that even if we have money and success, if we are not happy, we may waste our lives. And without following our heart and intuition we are not able to experience happiness. Steve Jobs puts on the first place respecting our inner forces such as intuition and heart and on the second place the other things. Steve was a successful businessman, but he was also interested in learning more and more every day in personal development. Considering that he followed his intuition, he had success in their business. 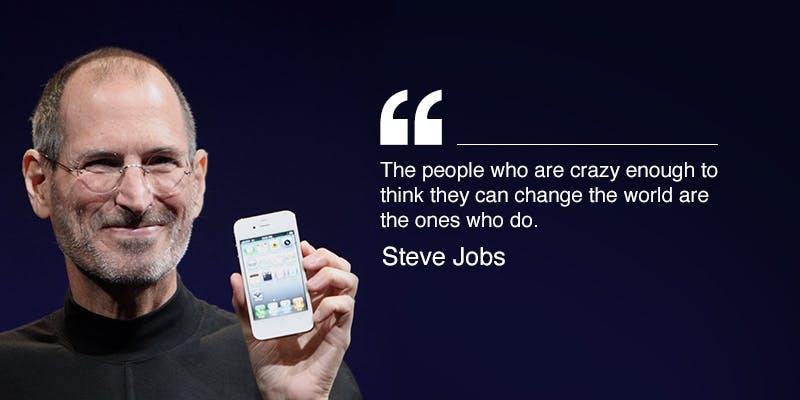 Maybe we should try to listen to Steve Jobs and follow his idea. 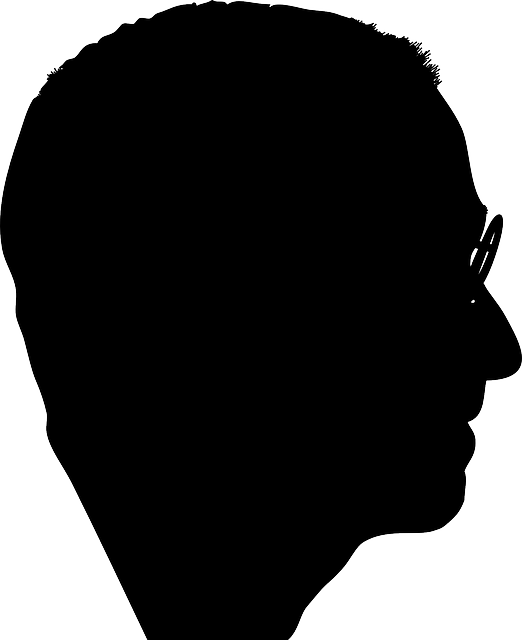 This post analyzes briefly one of the most appreciated quotes of Steve Jobs. 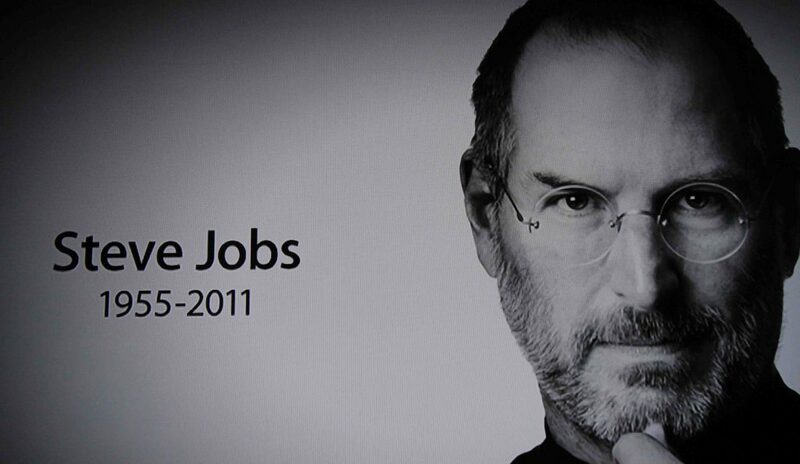 Trying to conclude and summarise, we may say that Steve Jobs encourages us to “Follow our own heart!”.